Monsoons will soon arrive in North India and so will the questions on making a trip to Spiti Valley in monsoons 🙂 🙂 … In today’s article, I will try to outline some basic tips which will help you make your trip to Spiti Valley in monsoons, somewhat comforting. 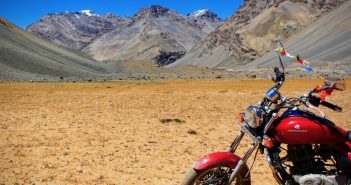 However, before deep diving into the topic of making a trip to Spiti Valley in August or monsoon season, let me first answer the fundamental question for you. Are you planning a trip to Spiti Valley in Monsoons? Well, you must know that Spiti Valley is a rain shadow region, meaning, that the rains do not reach up there in plenty because of the range of trans-Himalayan mountains protecting it from winds bearing the rains. 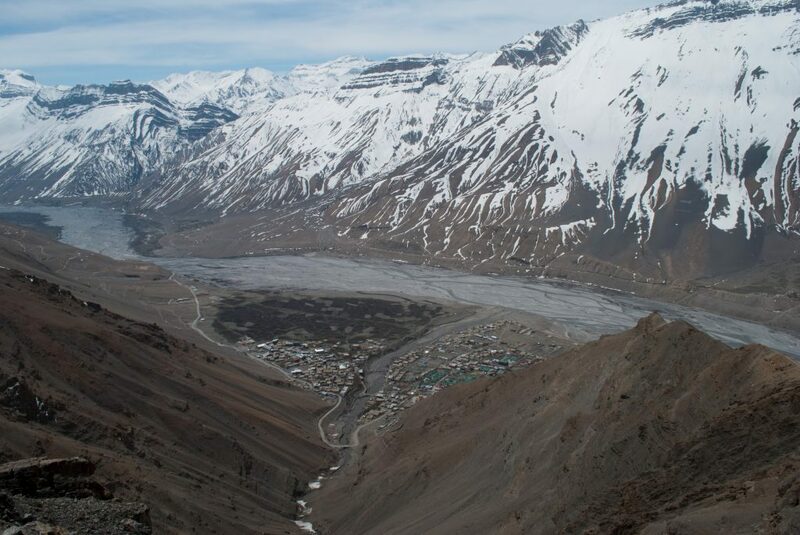 However, the definition of the rain shadow region of Spiti Valley is changing now with the change in global climate. We have started getting rains in Spiti Valley too or at least overcast conditions with drizzles every now and then in monsoons. Hence, be ready for some surprises even in the rain shadow region of Spiti Valley though they may not be much unless you have a bit of very bad luck. And finally, if it is safe to travel to Spiti in monsoon, well, the short answer is indeed it is a risky affair. You should continue to read my article to get an understanding of it. I have already written about Best Season to Travel on Road to Spiti Valley and in this article, I will try to outline a few important tips for you to make the best use of the August holidays. This will help you make a trip to Spiti Valley in monsoons or August. The tips mentioned in this article will help you mitigate some risks to an extent and minimize the impact of few which may occur when you are up there in Spiti Valley in monsoon time. 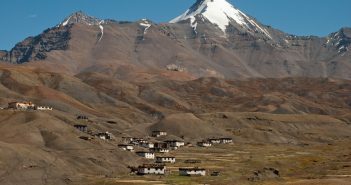 This article is not about how to get to Lahaul or Spiti Valley or how to visit Spiti Valley, rather it just highlights the tips for making a safe and successful trip to Spiti in monsoon time. 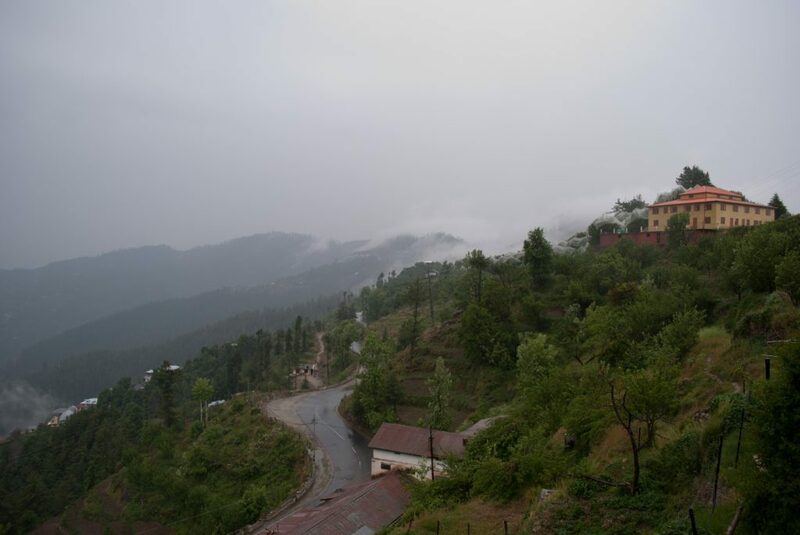 In monsoon time, you will face common monsoon hassles in lower / foothills of the Himalayas including the entire lower belt of Himachal Pradesh. But once you get closer to Spiti Valley, then being a rain shadow region you will be least affected by monsoon rains. Please note that landslides, roadblocks, and slush on roads will be common in the lower hills due to rains and especially troublesome between Manali to Rohtang pass and most parts of Kinnaur Valley. To be very frank, Kinnaur is not a good place to be in monsoons due to its fragile mountains which are always susceptible to landslides. There will be slush on the roads especially from Rohtang Pass to Gramphu and most parts of Kinnaur Valley. Be prepared, to drive with care in slush and do know the whereabouts of the engine chamber of your car if you are making self-driving road trip to Spiti in August. There could be stones beneath in slush which may not be visible but can badly damage your engine sump/chamber leaving you stranded in the middle of nowhere. DO NOT push through too much in case you get stuck, try the back-n-forth tactic to come out or use push or wooden plank/rubber mat. Otherwise, you may end up with burned clutch plates. Please carry these must have essentials for a self-drive trip to Spiti Valley. Since most of the rivers in the entire Himalayan range will be flowing in spate and so does the water crossings will be swollen too. Some water crossings have been passed through water pipes on Manali – Kaza road but you never know which one emerges the given year. However, some of those who aren’t yet may become the reason for spending a night in the middle of nowhere OR puncturing your engine sump while crossing it or losing your mudguards or bumpers. 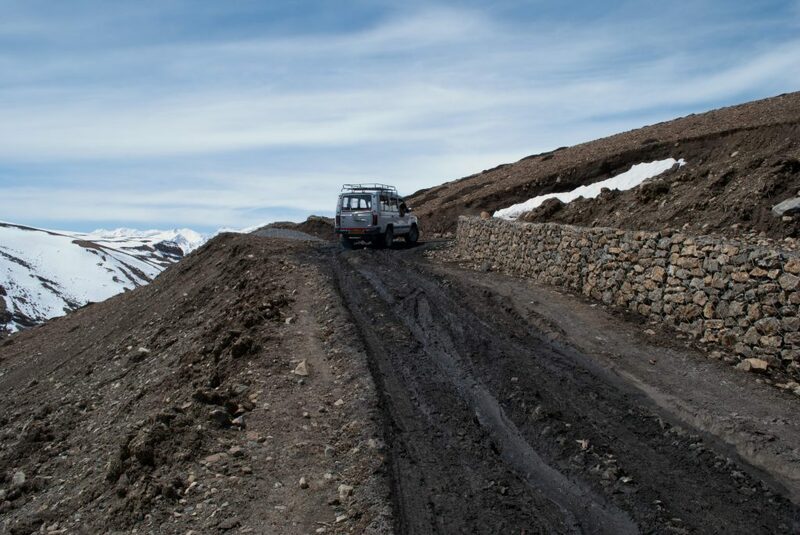 Try to cross Malling Nalla ahead of Nako as early as possible and same is applicable for all the ferocious water crossings from Manali to Kaza road between Gramphu – Batal section. Pro Tip: If riding a motorcycle, gumboots will help you dodge overflowing water crossings and keep your other boots dry to ride further. Do carry a pair of them, they don’t cost much. The shooting stones along with small landslides are very common during rains or monsoons in the mountains. When driving or riding or even sitting in the car, you must always be alert to see over a shooting stone from the side of the mountains. 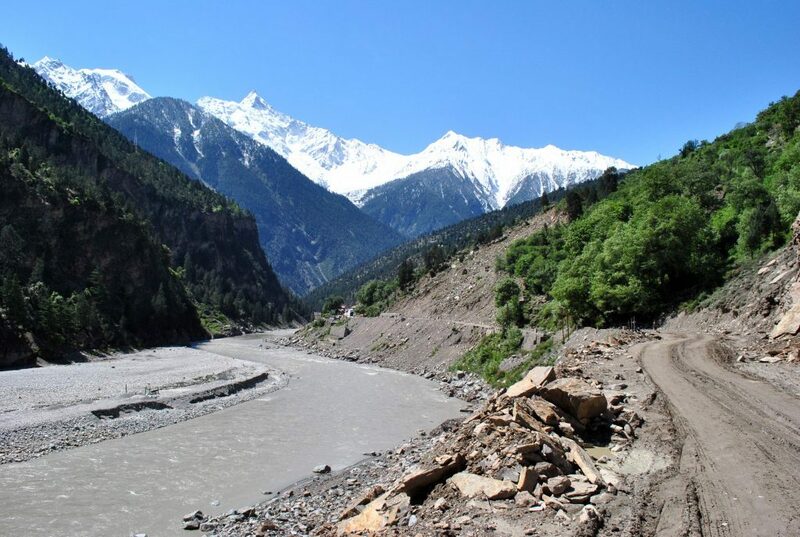 Be very careful on stretches which have loose gravel or mud, especially in Kinnaur Valley, near Rohtang Pass / Beas Kund to Rani Nalla, Shialkhar village to Sumdo and stretch between Tabo to Attargoo bridge. These sections of a road trip to Spiti in monsoon are more common for shooting stones and landslides. Even a small stone can pierce through the windshield and your trip can be screwed. So, always be alert and keep a watch on the movement in such mountains which are vulnerable to shooting stones. Always carry a rain cut jacket, waterproof shoes or sandals/crocs at least along with a water repellant lower or lower with the quick dry material. This will help you in many ways when there is rain. It may end up saving your electronic equipment too. Apart from the rainproof clothing, carrying small tarpaulins or waterproof bags which will protect your clothes, luggage or electronic gear if the need arises especially when riding the bikes. Also, if you are planning to place the luggage on the top of the car, it is a must have to be carried on a Ladakh trip. Well, it sounds to be too much planning but seriously speaking I have seen plenty of people getting stuck just because they did not have that pair of wipers for their cars that fit in. Hence, I cannot avoid putting this tip in this article. It can be an unlucky day for those but if you have an old car which you are taking up there in the Himalayas, do prefer to carry an extra pair of wipers. If existing wipers break and you cannot find a pair for your car, you can’t drive in blind conditions even in lower hills. As always in the Himalayas, “Sleep Early and Leave Early” shall be the mantra of your entire trip. It becomes more important in rainy season as you are already expecting delays due to a landslide, roadblocks, slow speed of cars in rain. So, always try to follow this principle. Starting early in the day will help you with cope up with extra unexpected delays. It is not at all wise to run from point A to point B in all sought of tensions of missing the flight or train if you can’t make it. You should expect rains in monsoons, which may delay your daily plans or make you stuck behind a landslide for a day or two sometimes. If you are running on a neck to neck schedule, well, delay of one day somewhere will trigger tensions in mind which will not help you enjoy the sightseeing or journey but keep you worrying about missing a flight or train. So, it is always better to plan your trip with couple of buffer days when traveling to Spiti Valley in monsoons. Needless to say, in monsoon time, both rain and moisture will be all around you when traveling in the Himalayas. Please ensure that you protect your camera so that it does not expose to moisture or water. Also, if you use CPLs on lenses, make sure you are making the right use of it in right light conditions. Spiti Valley weather remains cool and pleasant during the monsoon time period or in the month of August. Once you are in Spiti, you can pretty much use light jackets and caps. In general, it does not get too cold in monsoon unless it snows. Yes, there has been a year when it snowed in August. Well, I will recommend that you visit Spiti valley from Manali side during monsoon time because Kinnaur Valley is terrible in rains in comparison to other parts of the Himachal. Hence, it is better to travel to Spiti via Manali in monsoon. You can follow the below itinerary. Given below is a 7-day Manali to Spiti Valley itinerary for monsoon time. I have deliberately skipped the trip to Kinnaur Valley due to landslide-prone zones. Day 1: Reach Manali by overnight Volvo of and stay overnight at Solang Valley as preferred for acclimatization. I hope above tips may help you make a successful trip to Spiti Valley in monsoons. 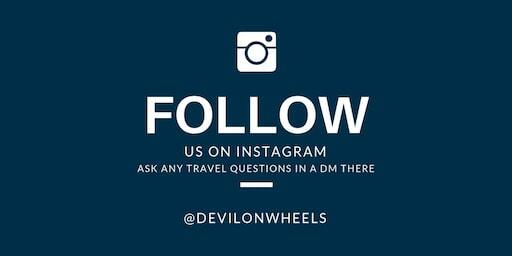 If you have any other tips to share or experience of monsoon trip to Spiti, I will be glad to hear them in the comments section or reach me on my Instagram account. 1. Where can we park our vehicles after we get ride to chandrataal (either from losar or batal). Pls share details of some reliable taxi owner. 2. Can we do chandrataal to Manali in a day. 3. Can we do Chitkul to pin valley in a day and add something more to it? 4. I want to do Lang za, kibber, chicham, where do they fit in? 5, what could be the possible cost. I m assuming 30k for one car (2 people in 1 car). Also, the cars on duty are Dzire, i10, tigor. Also, pls tell us more on budget hotels and some good restaurants. Dzire and i10 are petrol, tigor is diesel, so what should we keep in mind and where can we get fuel? 1. You do not want to drive to Chandratal? Me and 3 of my friends will be visiting spiti from 12th to 20th August. Where can we expect snow to play with. Hi we are a group of girls and we are planning a trip to Spiti from 1st to 10th September. Since the weather forecast shows rains for 3 continuous days I am little skeptical about the plan. Can you please suggest if its worth going to in September. Also, we won’t be driving by ourselves and plan to hire a professional. Weather predictions that long are not accurate, so please check the weather updates during last week of August for more accurate predictions. You shall be fine in September, it does not rain like cats and dogs then because monsoon is gone. We (group of 5) are planning trip to spiti (from delhi). Dates will be from 12-20 august 2017, will be ascending through shimla and descending through manali. We are planning our trip to spiti in august long weekend..from 12-20 august. We’ll ascending through shimla and descending through manali side. 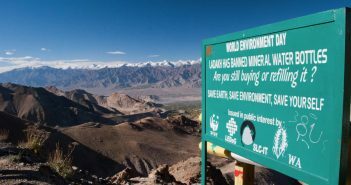 hi i m planning to visit leh ladakh from hoshiarpur in the month of july 28 to 3 august by our bike..how mich it will cost and did i need to register to reach leh or is there any permit given by the government to visit leh? It will take 3 days to reach Leh from Delhi via Manali side with stopovers at Jispa, Manali and 4 days to come back to Delhi from Leh via Srinagar side with stop overs at Jammu, Srinagar, Kargil . This makes it 7 days. 1 Day is required in Leh for acclimatization. Opt to go via Manali – Leh Highway and I will suggest that you refer the thread for more details on the route and night halts though it is of 9 days: Manali – Leh – Ladakh – Manali | Itinerary for 9 Days. and After Im done with leh . i was thinking to come back from manali so that it doesnt get boring by coming from the same srinagar route. and also i was planning to visit zanskar after reading your article which is amazing . leh to manali to delhi. Please try to connect on the satellite phone number at Chandra Dhabha with Dorje Uncle and Aunty ji at 08991722020 is the contact number of satellite phone at Batal and you can inquire from him. Dorje Uncle’s son Tenzin now also setup camps at Chandratal, you can reach him at: Tenzing Camp – +91-8991722020. Else call up the satellite phone and ask Dorje uncle to if he is aware about it or not. I am planning a circuit from Chandigarh > Kalpa > Kaza > Tandi > Sachpass > Chamba > Chandigarh on my bike, its a solo trip. I would be carrying my tent and sleeping bag, plan is to stay in tent at least 2-3 nights in the entire trip. Could you please advise which all places would be safe to put up a tent on the above mentioned circuit. Any pointers and tips is highly appreciated. we are 10 guys (27 to 28 age group)from Chennai planning for spiti trip in august 3rd week.we have drafted a itinerary , unsure if that would work. we will reach Chandigarh around 12.00 midday on 12th aug.
Day 9(Sun)| Manali – Chandigarh. 1) Itinerary : there is no buffer days in the above, please suggest if the above would work? if you could advise on alternative itinerary it will be great.. only constraint is,the start/end dates can’t be changed as we have already booked our flight tickets. 2) Accommodation: other than manali ,we are planning to get the accommodation after reaching there as we can’t see much options available online.is it advisable? please suggest. 1. Your plan looks fine but as you rightly said there is no buffer day so in monsoon you will need very good luck to get through all the roads every day. If I try to change the plan then you sacrifice on the sightseeing and rest in between. Best will be to take a call then and there and try to keep this plan as goal. 3. No issues in hiring any tempo traveller in whole of Himachal. You can get connected directly to some drivers in Himachal or Spiti Valley or Kinnaur Valley at the link: List of Taxi Drivers for Spiti Valley & Kinnaur Valley. These drivers can come and pick you up from Manali / Shimla / Delhi / Chandigarh too, of course with a price of the pickup as well. I am planning a trip Between 20 TO 31ST july with my family of 6 and need advice as we start from Chandigarh to first go to Manali and then from there to Rohtang Pass, Kaza, Kibber, Dhankar, Kalpa , Sangla and then to Shimla – Chandigarh. Can you please advice on travelling with younger Kids (Things needed, is it safe to travel with them ? Best is to start from Shimla and end at Manali, You can check a very balanced and most common itinerary for Spiti Valley followed by many travellers including me at the link here for 10-11 days: Most Common Itinerary for Spiti Valley.